The HOM Open Golf Tourney was established in 1989 to celebrate with our employees and vendors by coming together for an enjoyable day of golf and to raise funds that would benefit those who need a hand in our local communities. 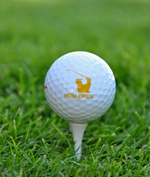 With your support the HOM Open Golf Tourney has raised over 1 million dollars for local community projects. Some of these projects are building and refurbishing inner city playgrounds, providing sports equipment for youth community action programs, after school tutoring and mentoring, Make-a-Wish Foundation, children's cancer research, Children's Home Society, Second Harvest Food Bank, Habitat for Humanity, First Witness, women and children's shelters, YMCA camps, Camp Heartland, and the list goes on. This year the HOM Open will once again support Minnesota Adult & Teen Challenge in the Twin Cities and Duluth. (Visit their website for more information about MN Teen Challenge at www.mntc.org). In	addition to Teen Challenge we will be partnering with charitable organizations in each of our outer metro showroom communities of Fargo, ND, Sioux City, IA, Sioux Falls, SD, Eau Claire, WI, Onalaska, WI, Rochester, MN	and St. Cloud, MN. Our goal is to raise the bar in order to more deeply impact the beneficial work these organizations	provide. With our current troubled economy we know the needs are growing for those who are struggling. Please consider getting involved with us in our efforts. We have many levels of sponsorship outlined	in this website and we encourage you to make an investment that will be enriching to these communities that we call home. Thank you for your continued support of the HOM Open Golf Tourney.